Celebrating St. Patrick's Day with kids? When I was little the only thing we did was wear something green or otherwise get pinched! Fast forward to today and WOW!, there's so much fun to be had! 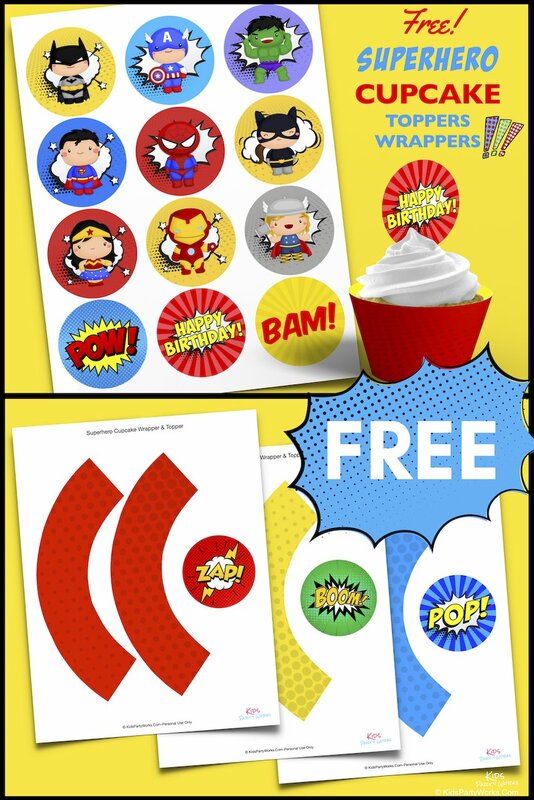 From coloring pages to photo booth props, printables are a great and easy (and free) way to celebrate. Need a quick St. Patrick's Day decoration? 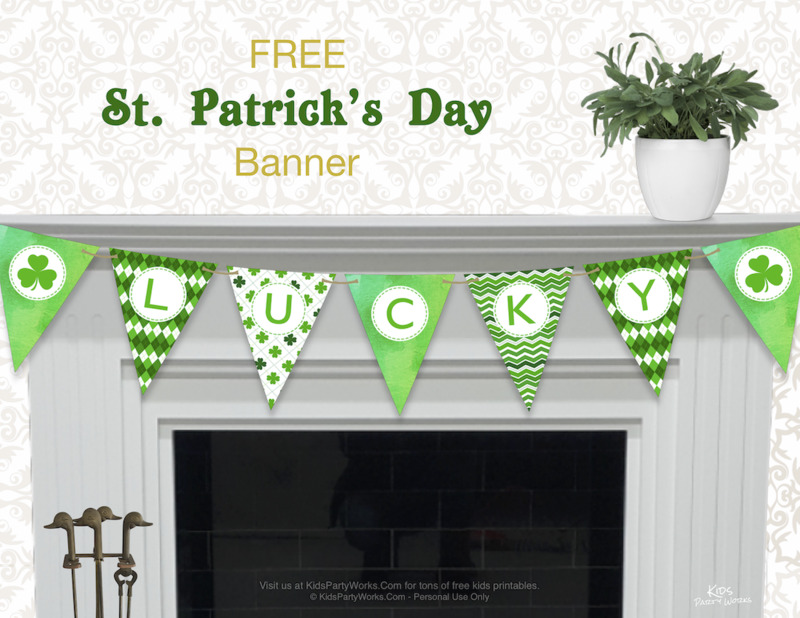 We designed this free printable banner for an easy way to decorate for this March holiday. 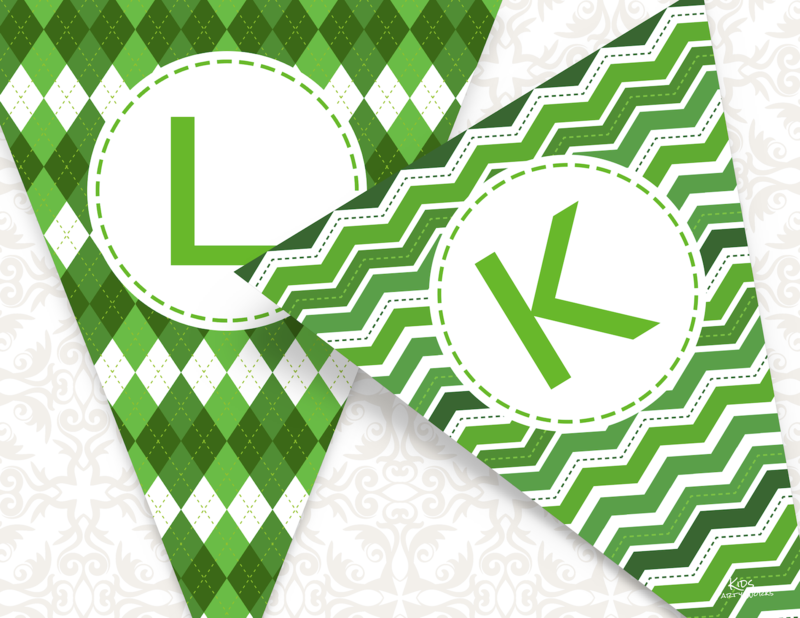 This is an exclusive offer for our Party Club members, join today to get this fun printable LUCKY banner in your inbox. 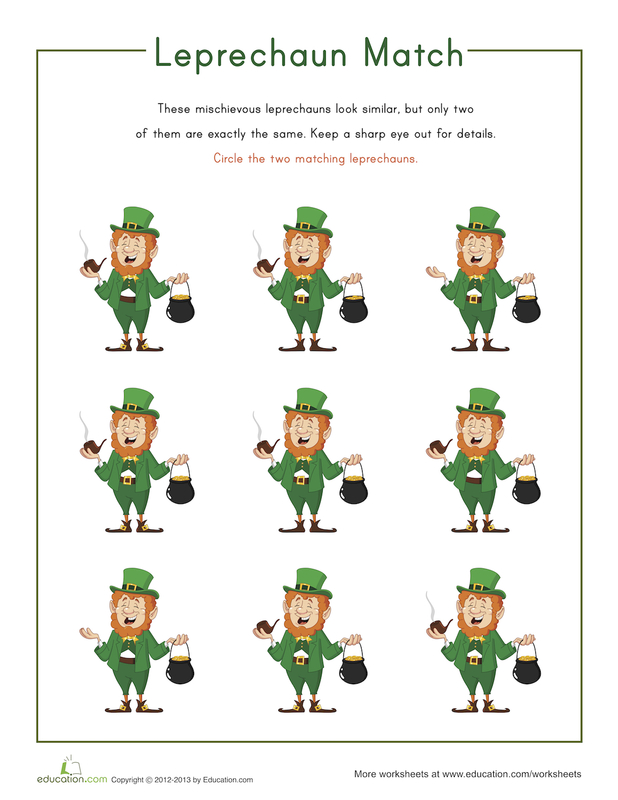 Here's another free printable for this St. Patrick's Day. 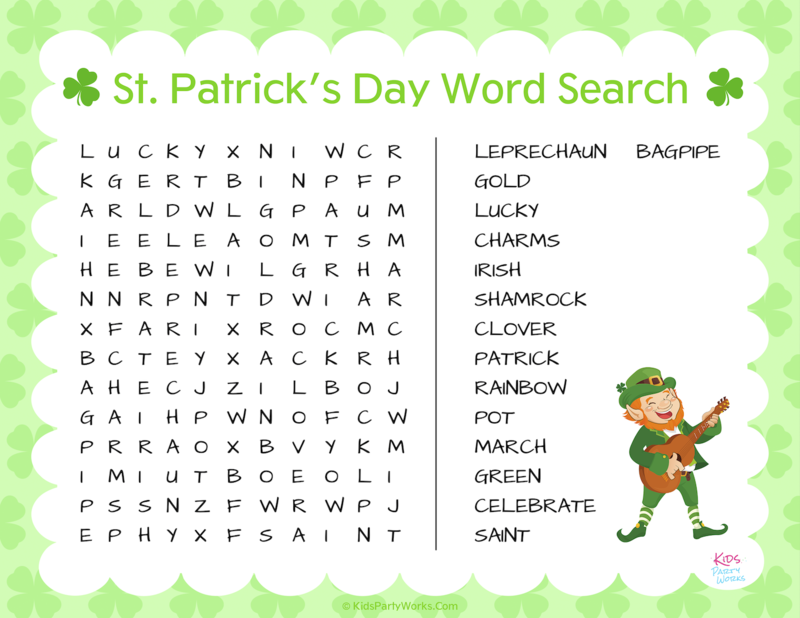 Download this fun word search and celebrate with Mr. Leprechaun. This is part of this week's party printable download. Get the word search and banner right after you join our party! 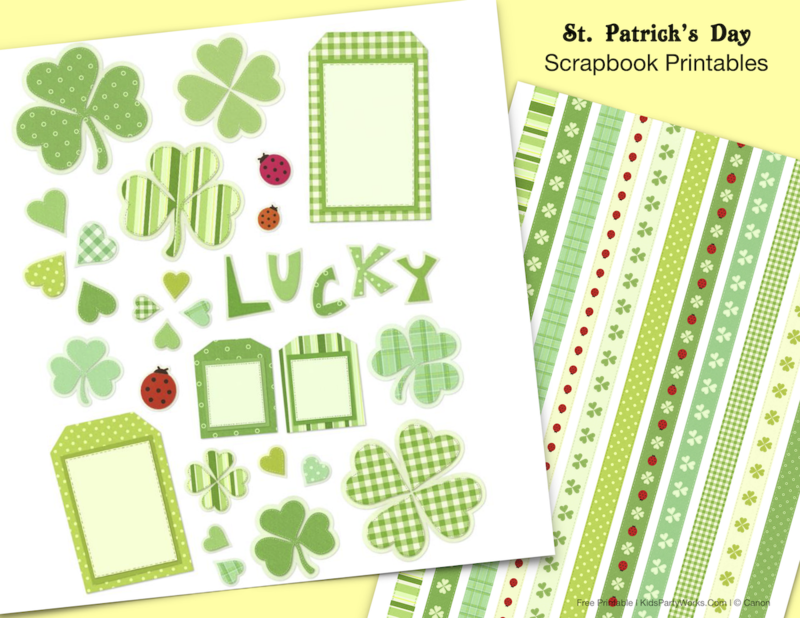 Scrapbooking for St. Patrick's Day? 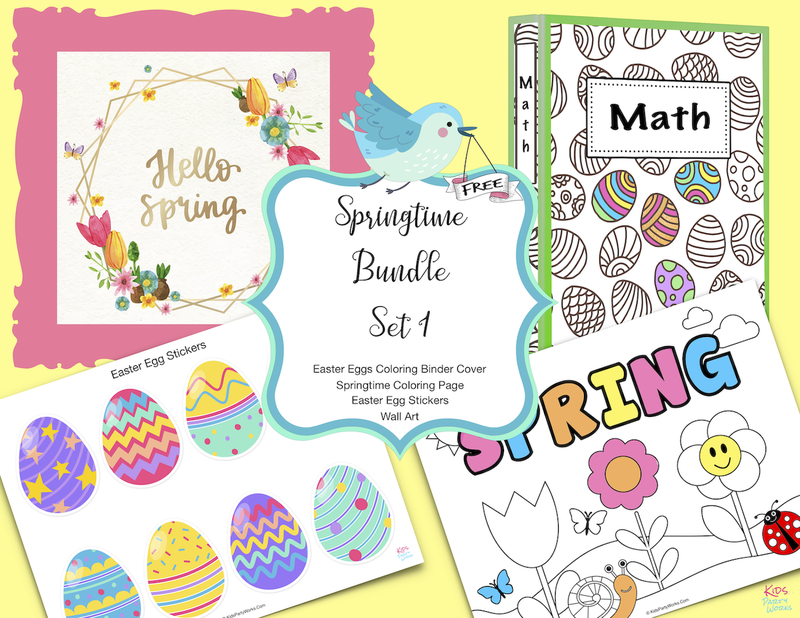 Make a fun page with this scrapbook set and digital paper. 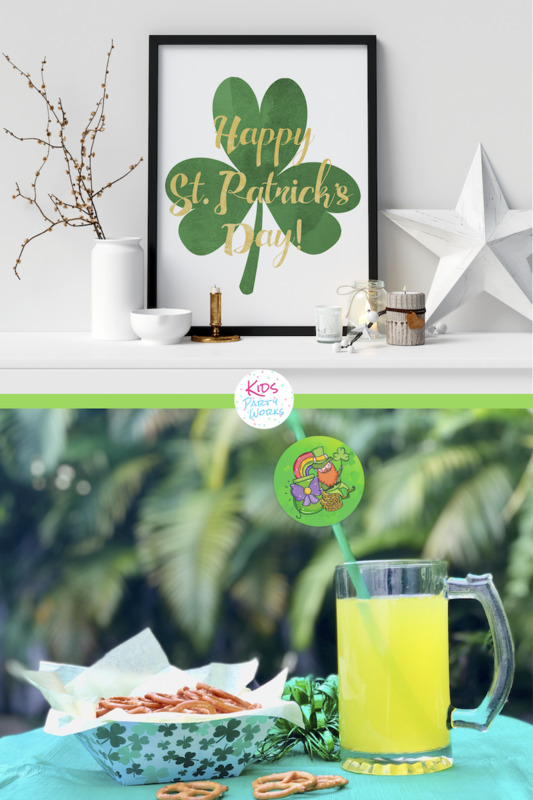 Get your St. Patrick's Day elements and digital paper and have fun preserving your holiday memories. Celebrating St. Patrick's Day? Come join us at our (free) Party Club to get these exclusive printables. Do some super quick decorating with our Happy St. Patrick's Day wall art. It's great for home or office or as a gift. Our second printable is a clover leaf snack tray which is perfect for kids and adults. This cute tray is not only great for snacks, but also to fill with treats wrapped in cellophane and some ribbon to give as gifts. 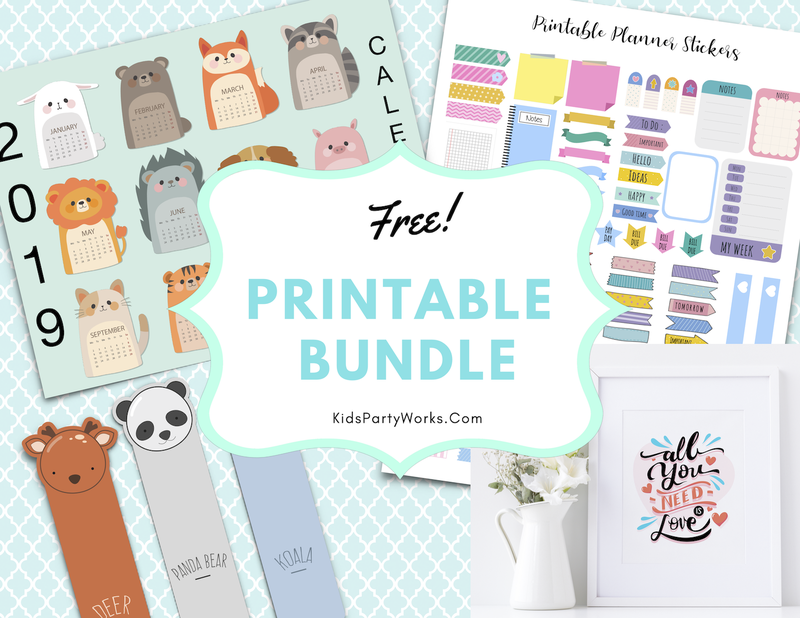 Remember to join our Party Club to receive your free printables in your inbox. 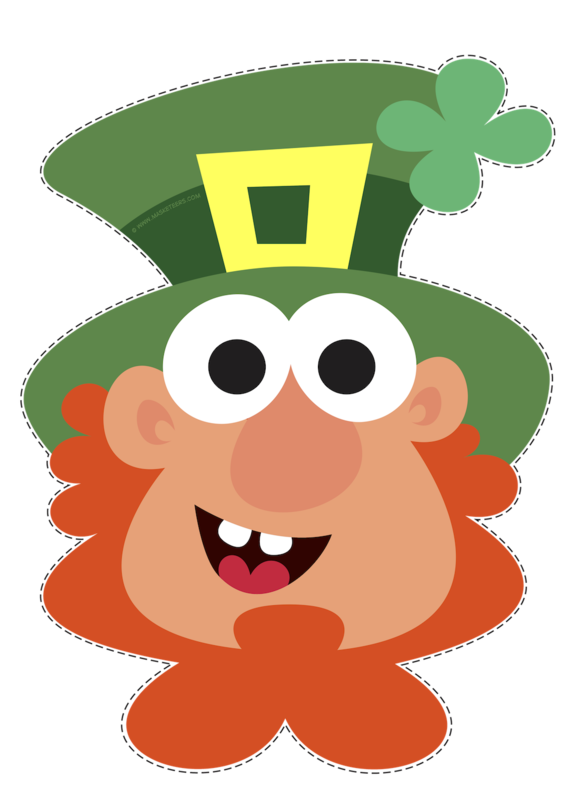 Have a happy St. Patrick's Day! 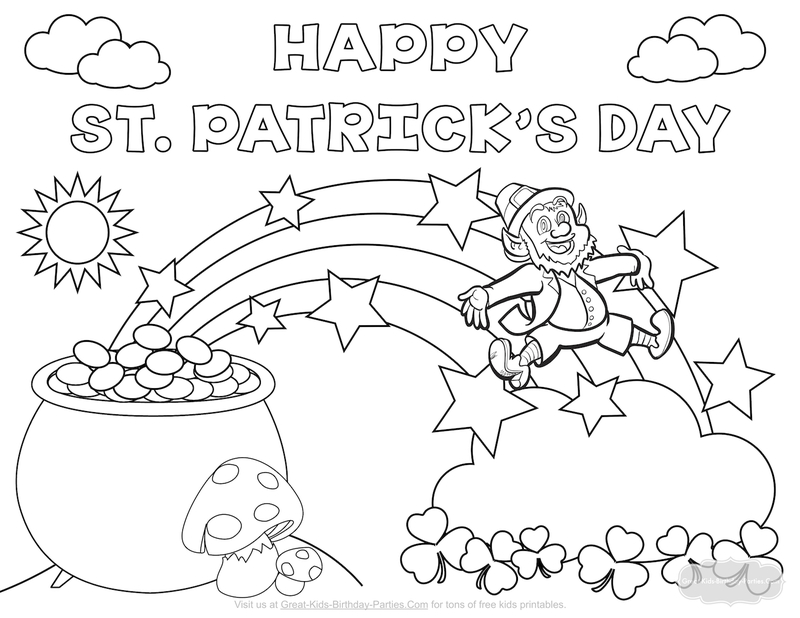 Entertain little ones with our new St. Patricks Day coloring page, complete with leprechaun, pot of gold, rainbow and shamrocks. Ooh! How much fun are these photo booth props from Canon? 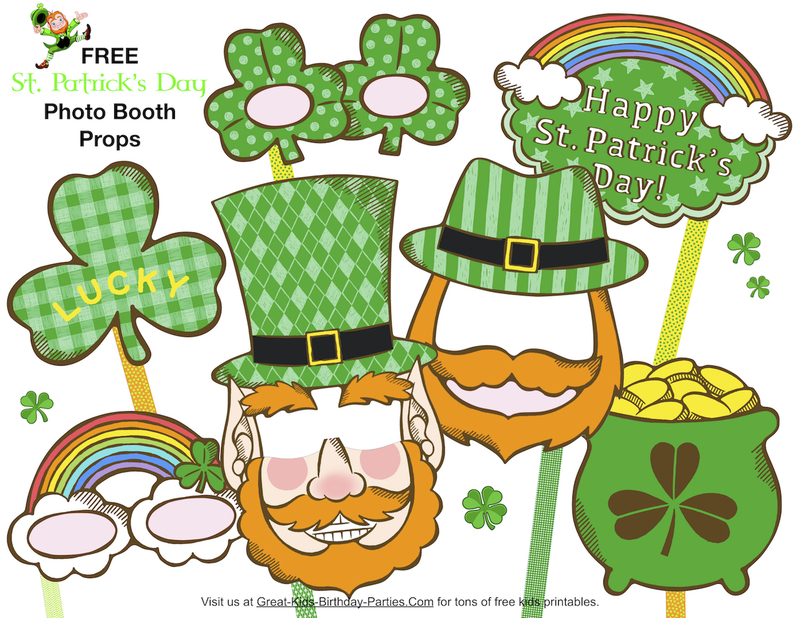 Turn St. Patrick's Day into a party with these free photo booth props. These props will make great memories for families and friends. Click on image for download. 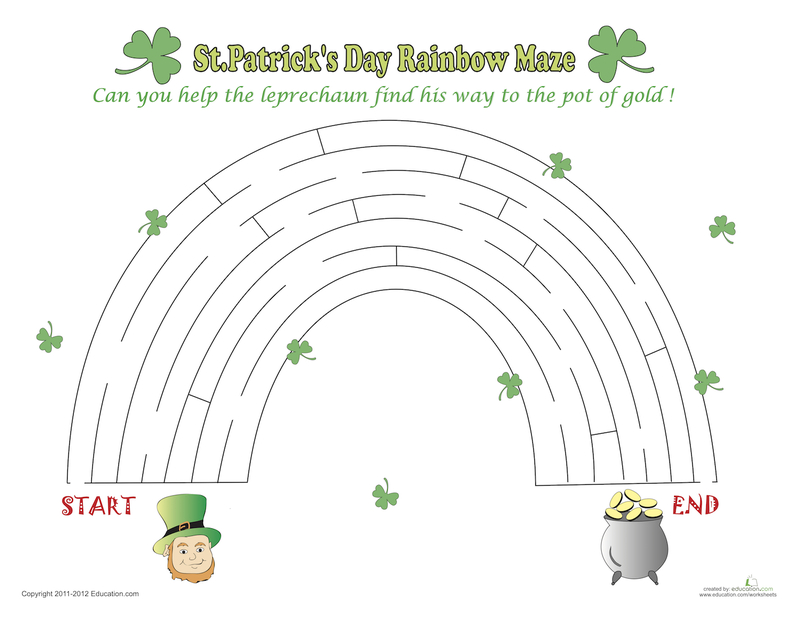 This free and fun printable maze from Education is easy to print and tons of fun. Click on image for download. Note: You have to sign up (it's free) to be able to download printable. 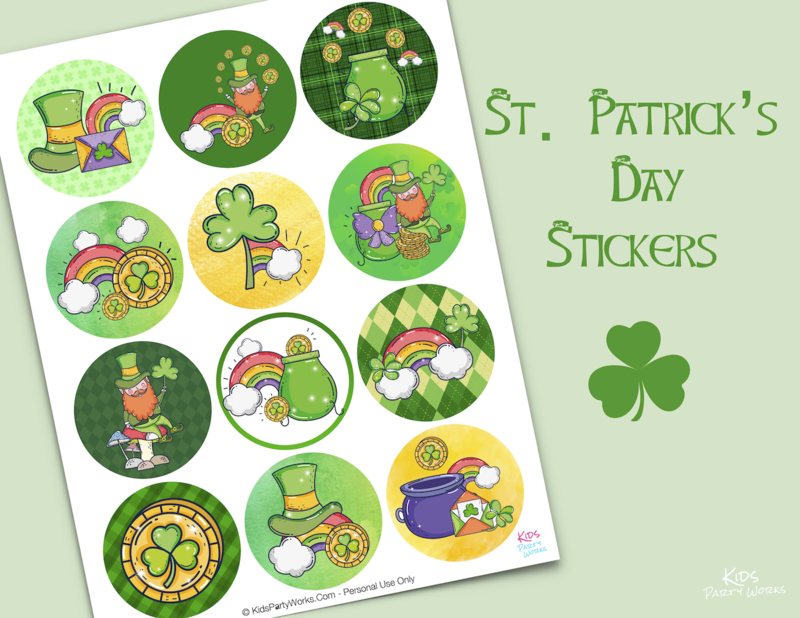 Celebrate this St. Patrick's Day with our free stickers. 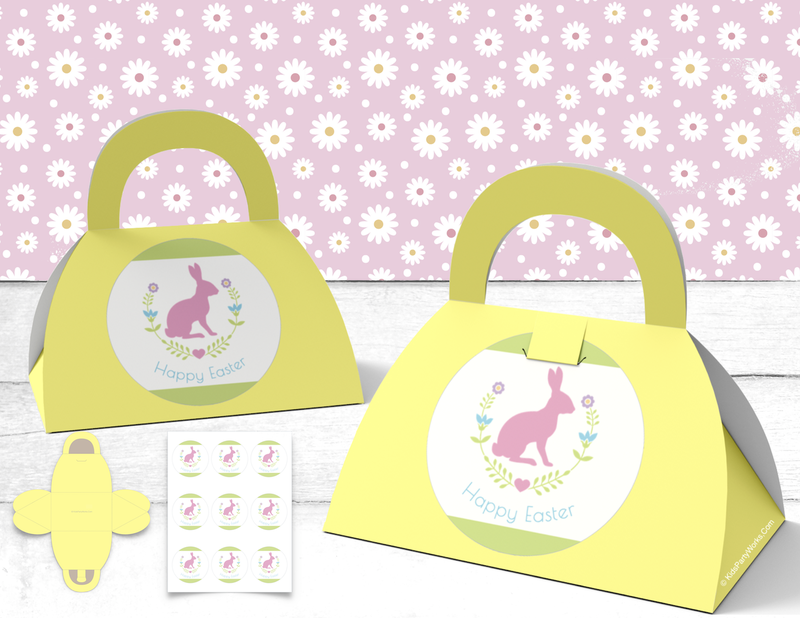 We designed these with kids in mind to share with friends and family. These also make great cupcake toppers. Click on image for free download. 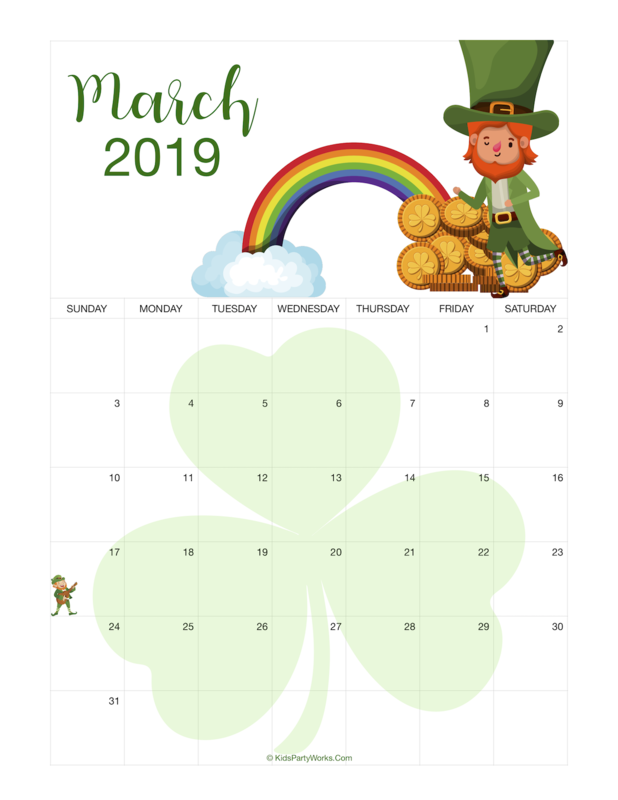 Let your little ones mark their schedule on our March 2019 Calendar. Great way to stay organized and view events at a glance. Download our calendar here. Top o' the morning' to ya! 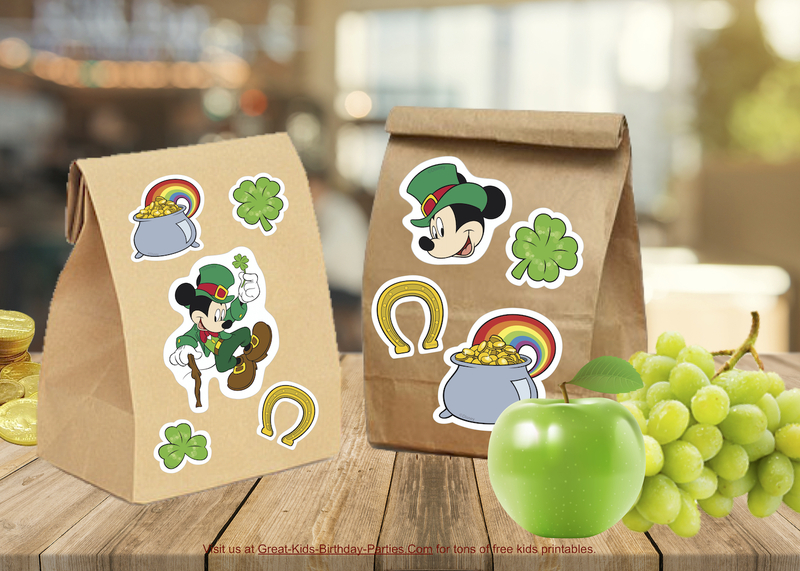 Start your child's day with these lovable Mickey St. Patrick's Day stickers by Disney. Turn their regular lunch bags into festive St. Paddy's Day fun! Just print on sticker paper or regular copy paper and glue to lunch bag. Click on image to download free printable. 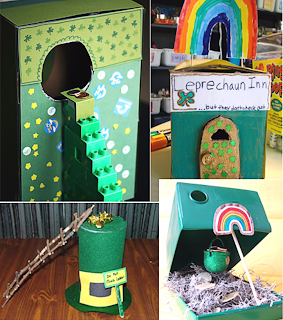 Can you catch a leprechaun? 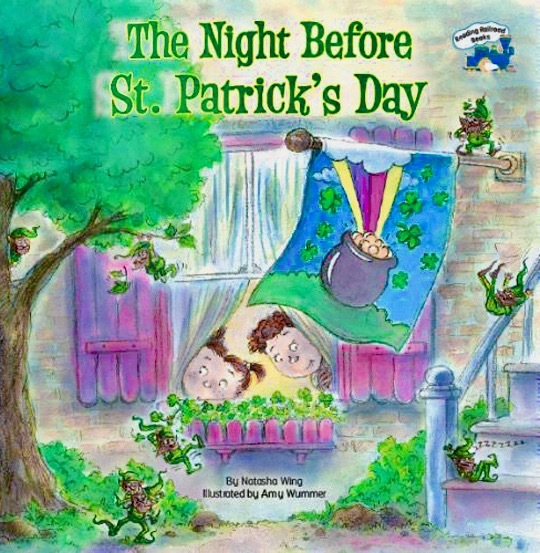 Love The Night Before St. Patrick's Day book by Natasha Wing. 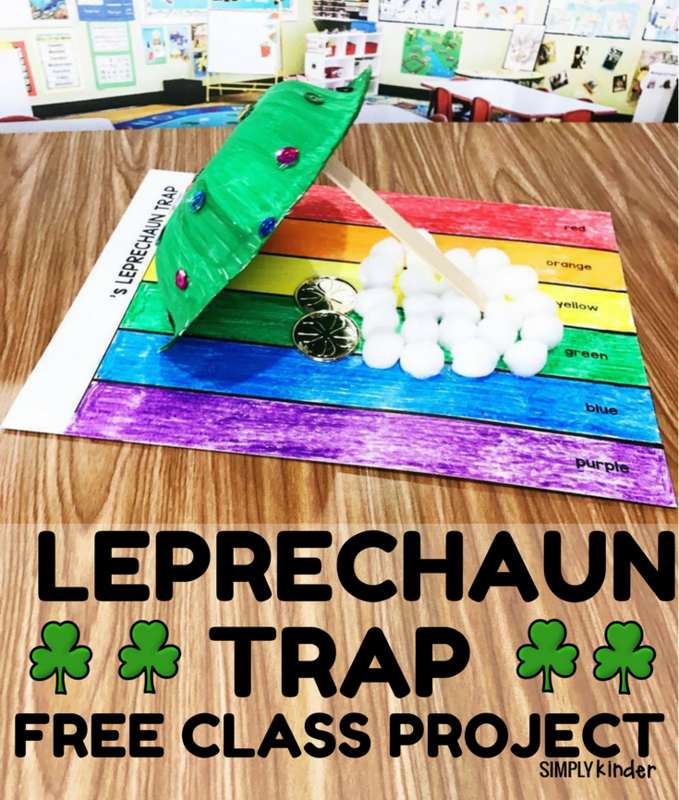 Read this fun book and then make your own leprechaun trap. You can get the book here. Oh! These ar so much fun to make. You don't need anything special, just take a walk around your home or garden to find items for your trap. My children are grown now but I found some simple DIY traps around the internet and wanted to share it with you. So many fun and creative ideas. Love the ladders made from legos and another made from twigs. The one below from Simplykinder.Com comes with instructions and a picture tutorial. Its easy and fun to make with your little one. Happy St. Patrick's Day! 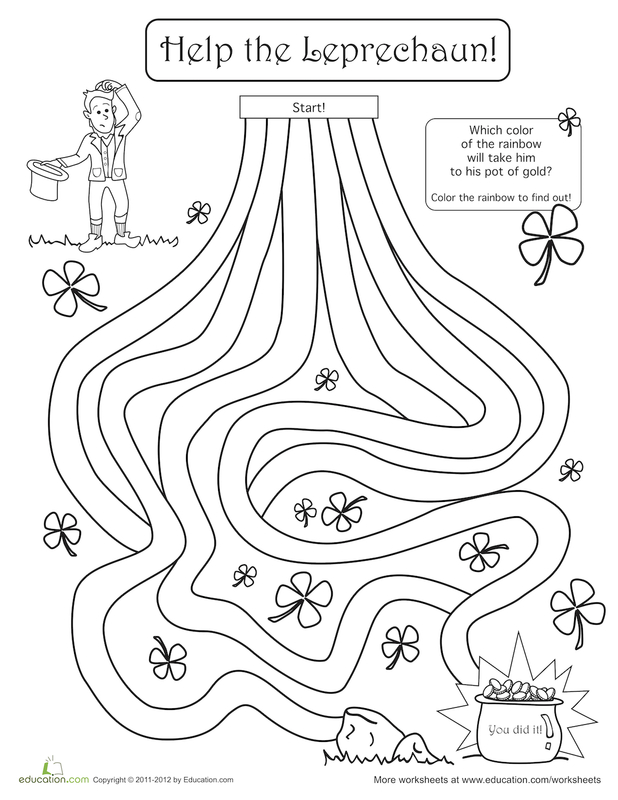 Love this coloring page and maze all rolled up in one from education.com. Great for 1st Grade and up. Note: You have to sign up (it's free) to be able to download this printable. Oh my goodness! 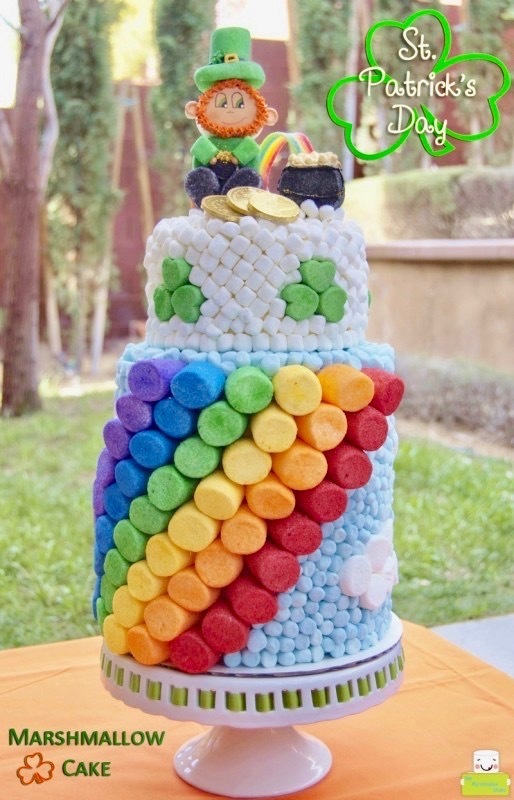 Look at this rainbow cake for St. Patrick's day from the Marshmallow Studio. Alejandra made this beautiful and bright St. Patrick's Day cake and I'm sure it's magically delicious! See close-ups of this cake on her website and maybe you'll want to make one too! 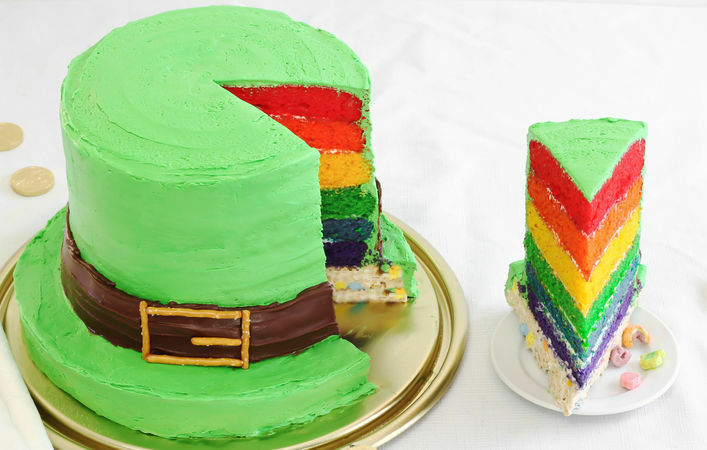 Leprechauns will love this cake with a rainbow inside. Get recipe for this colorful St. Patrick's Day cake at Tablespoon.com. It's easy to make and makes a beautiful presentation. 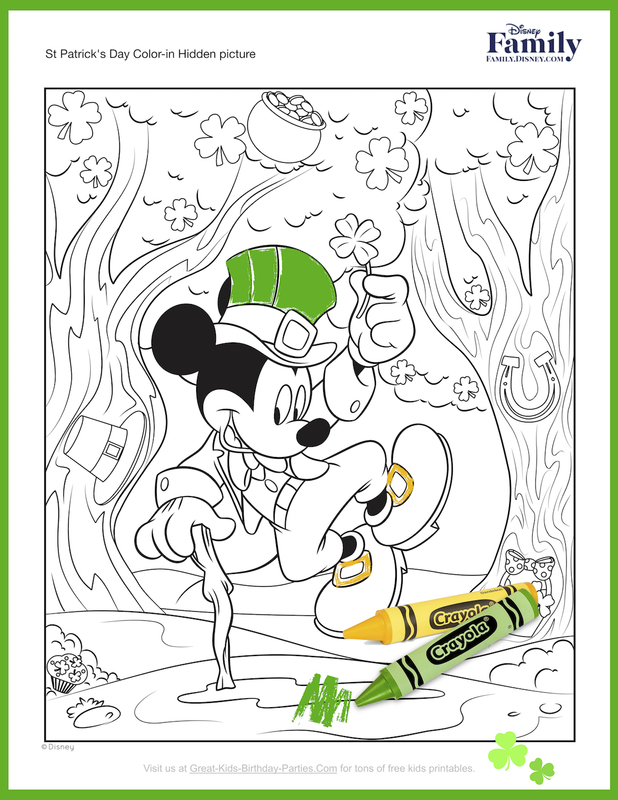 Join Mickey & Friends in the St. Patrick's Day celebration with these fun coloring pages. Click here to download free printable from Disney. Top o' the morning'! 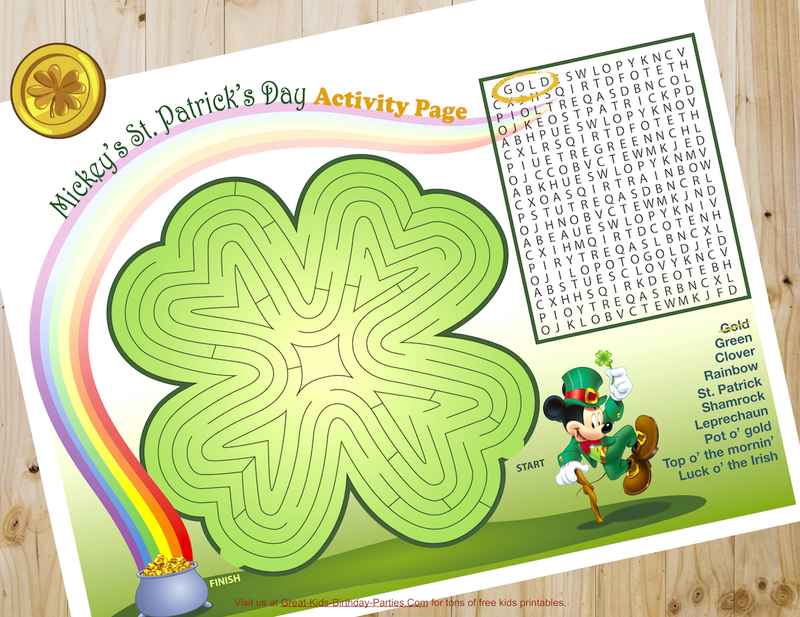 Love this Mickey St. Patrick's Day printable activity sheet with a fun maze and word search. Great holiday activity for little ones while they wait for their dinner. Click here for free download. 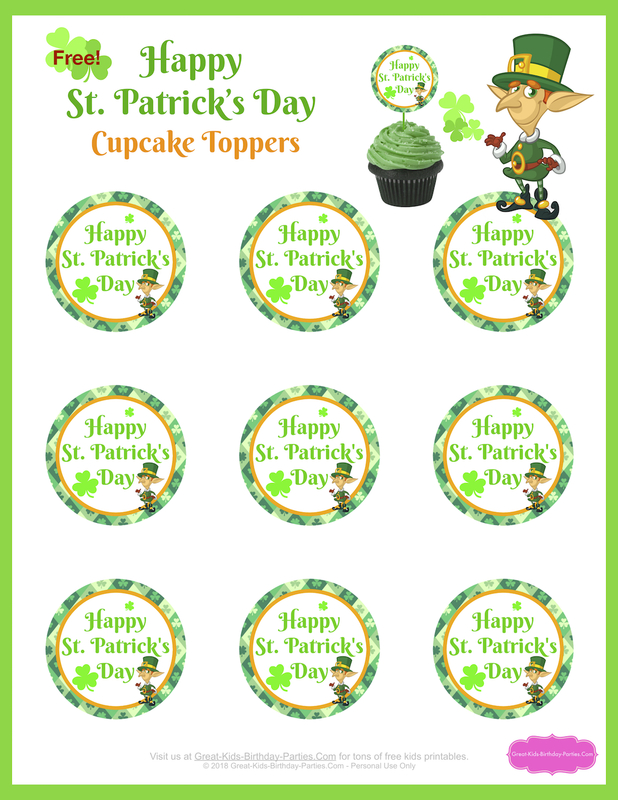 Decorate your cupcakes instantly with our free St. Patrick Day cupcake toppers. Each topper is 2 inches in diameter and come 9 per sheet. These also make great stickers, just print on sticker paper. 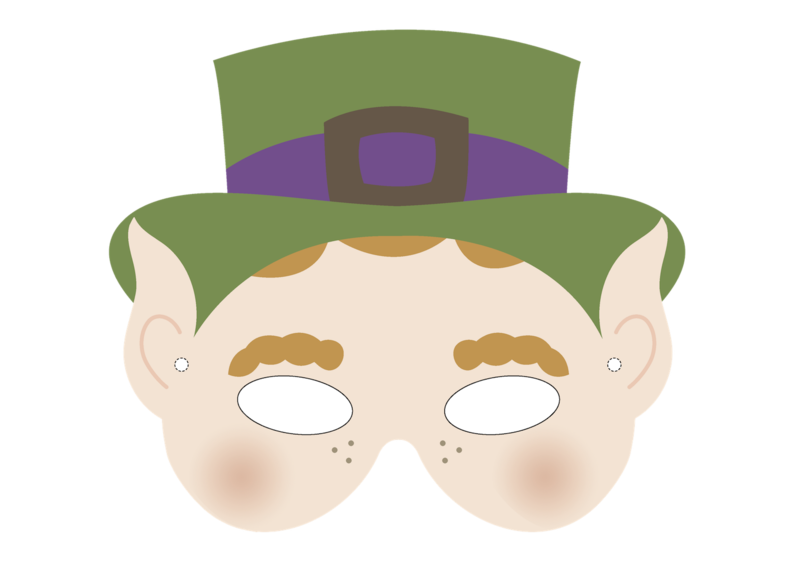 Kids will love to play pretend leprechaun with this fun printable mask. 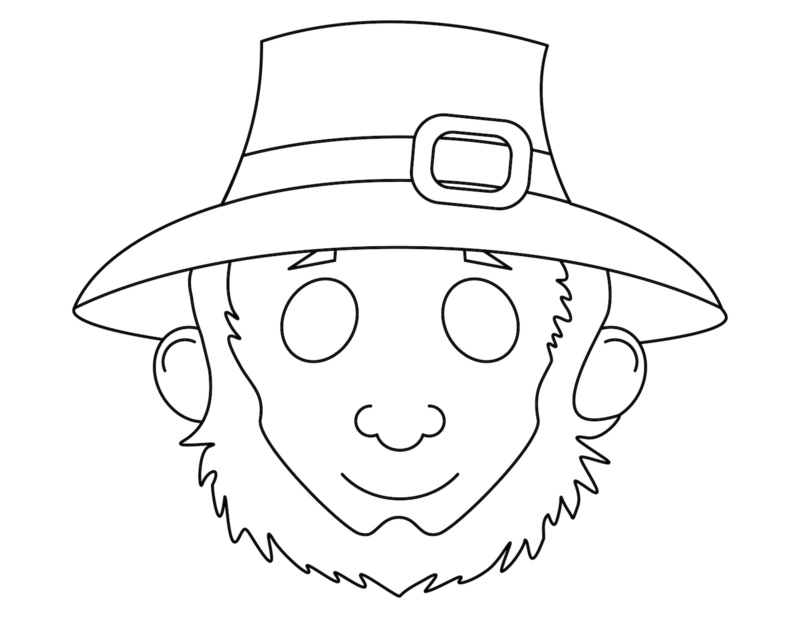 Print it in full color or in black & white to color. Click on images for free download. Love this mask from Masketeers.Com! 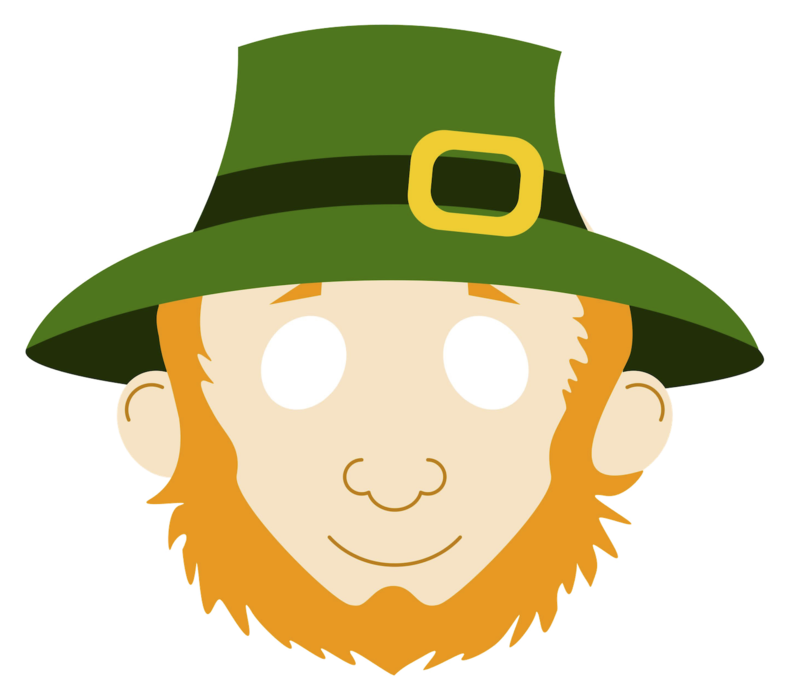 Start the celebrations with this beautiful whimsical leprechaun mask which comes ready to wear or in black & white to color. Get both masks here and have a wonderful St. Patrick's Day! It's no secret I love masks (just see our Free Printable Masks Page)! 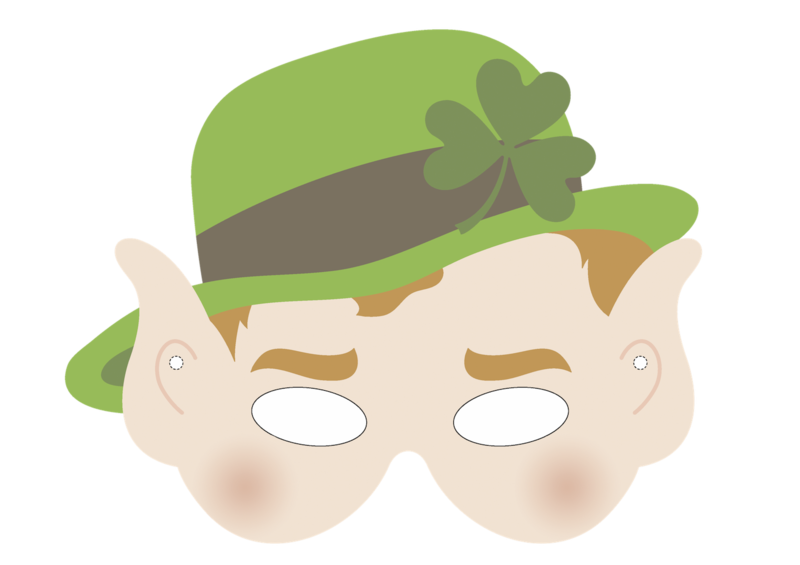 And these adorable St. Patrick's Day leprechaun masks are perfect for some Paddy Day entertainment. 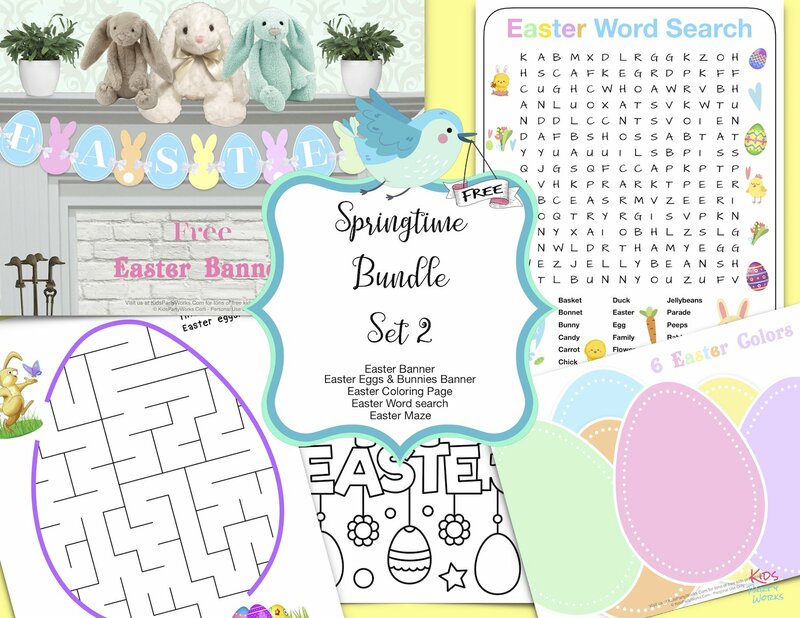 Click on images for free printable download. Feeling the luck o' the Irish? 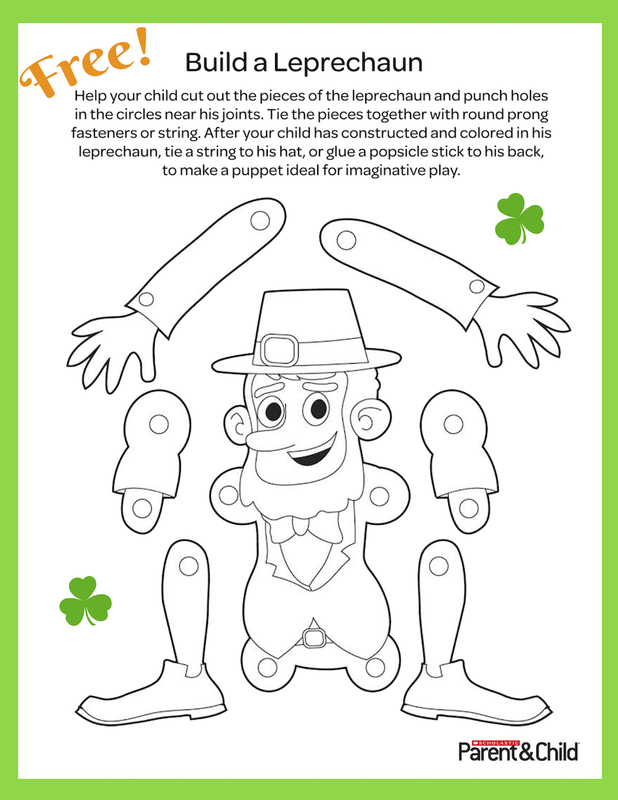 Have fun coloring and building this adorable leprechaun puppet from Scholastic.Com. Use grommets through the holes to make it movable.